Personalised magnets are a cost effective and powerful tool to get your key messages in front of your target audience. 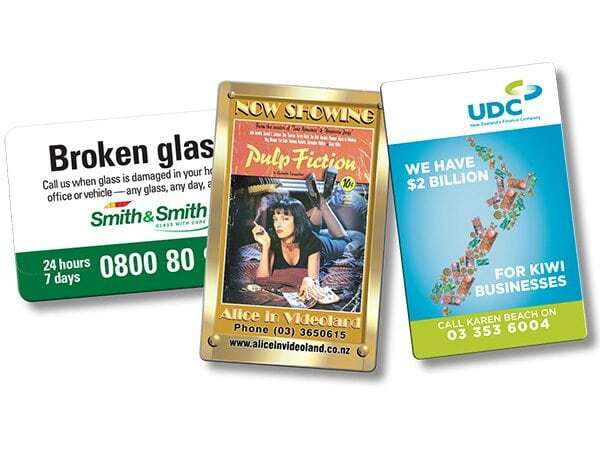 Our low unit cost fridge magnets give you a high return on your marketing investment. Pricing – Click the size and quantity to view prices. We make personalised magnets and promotional fridge magnets for virtually every type of business – real estate agents, health care services, home service and trade contractors, advertising agencies, councils and government departments just to name a few. If you still haven’t found the perfect option, check our our Custom Shaped Magnets page for information on how to order your ideal shape. You can save up to 40% per magnet by ordering larger quantities! Visit our FAQ page, call, or email us, we are eager to hear from you! Join us on our Facebook and Instagram pages for design ideas or inspiration!